Note: The following is a guest post by Iron Viz champ Shine Pulikathara. 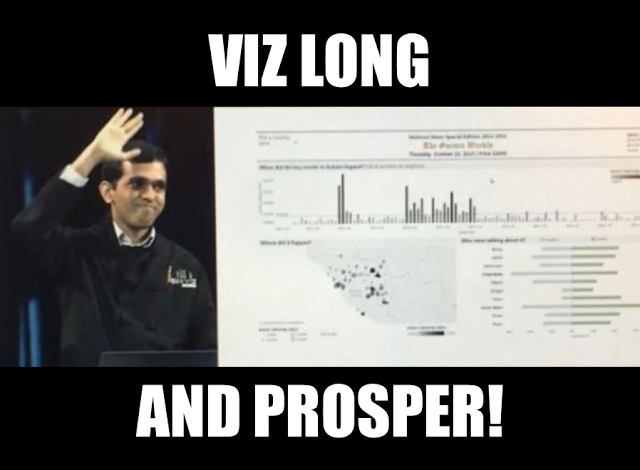 If you are reading this blog post, I assume you already know about the Tableau Iron Viz Championship. If not, first catch up with this blog post. I have summarized the most important steps to winning the Iron Viz Championship here. These steps worked for me, but I cannot guarantee they will work for you. You are unique and you need to discover for yourself what makes you shine. In any case, I hope these steps will be useful on your quest for the next Iron Viz Championship. Most of these steps deserve blog posts of their own, so I think I have my work cut out for the next few weekends. Let me know via Twitter (@vizshine) which step you would like to hear about first, and I can prioritize. Data visualization is a rich, diverse, and ever-growing field. This step is really a lifelong one if you want to continue to build your skills. 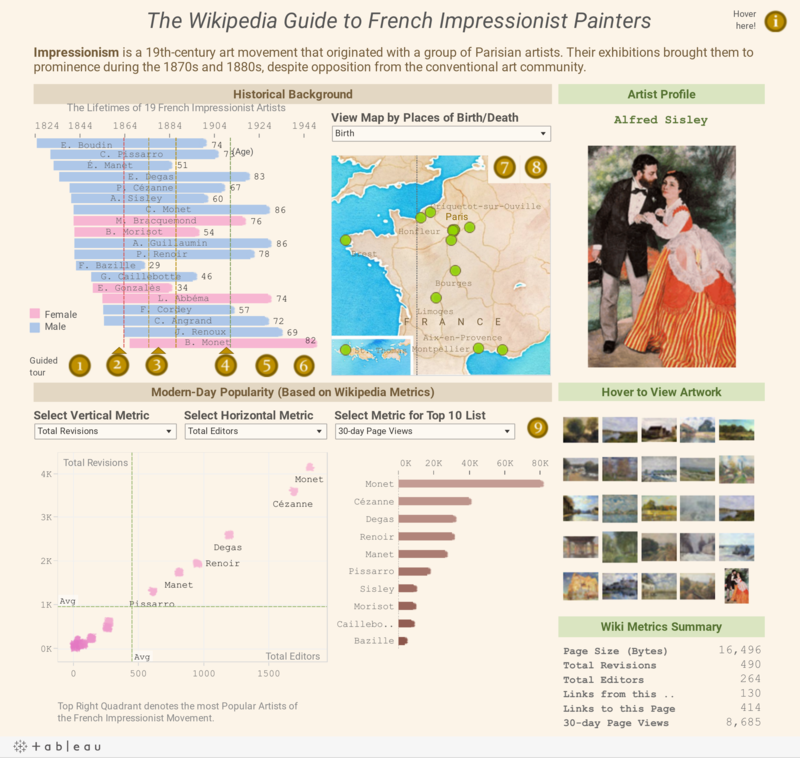 It is critical that you start with a solid foundation of data visualization principles. You can learn from a variety of sources. For example, you could study books by renowned authors, read blog posts by Tableau Zen Masters, answer questions on the Tableau Community Forums, engage with the Tableau Community on Twitter, and watch videos from data visualization conferences. Participating in an Iron Viz Qualifier contest is a prerequisite to competing in the Iron Viz Championship. You need to win one of the feeder contests before you earn the right to be on stage. You must follow the Tableau Public blog to ensure you find out about the feeder contest on time. The Tableau Public team announces these contests around March, May, and July. You will learn a ton by just challenging yourself to participate in at least one of these contests. I have been using Tableau for five years now, but always put off participating in these feeder contests until earlier this year. Do not procrastinate! The feeder contests can be quite grueling. I do not envy the judges at Tableau who pick a winner from among the amazing entries received every year. If you do get selected, take some time to jump for joy, pump your fists, smile like the Cheshire cat—whatever you do when you experience the heights of happiness, since you earned it and you now have the opportunity to showcase your skills to the world. 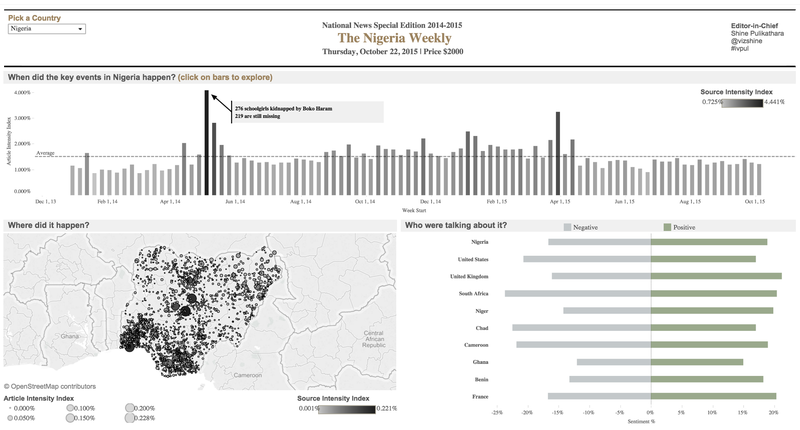 Practice with public data, build some beautiful visualizations, and publish to Tableau Public. Hopefully some of your dashboards are worthy of being chosen as the Viz of the Day or the Viz of the Week. Then you wait and wait in anticipation of the Iron Viz data set that you receive a few days in advance of the conference. Once you receive the data set, your critical task is to find a story to tell. Finding the right story can be a difficult task. You need to consider a number of factors like which angles are most interesting, which will appeal to a large audience, which will balance the tastes of the judges, and which will perform well. My first step was to explore every field in the GDELT data set in Tableau including the hidden fields. I also looked at the data dictionaries available online that explained what each field in the data set contained. You can also find inspiration outside of the data set, so I searched for the big news stories from 2014 to confirm what I was finding in the data. Once you finalize your story, you go to the drawing board and start sketching out various concepts of what your dashboard should look like. I like to use traditional pen and paper to play around with various ideas until I settle on a few designs to build in Tableau. I went with a newspaper-style design with an Old English font for the dashboard title so the audience could easily realize that they were looking at a dashboard about news. I went with traditional chart types that our brains are primed to read easily and shades of gray to stay consistent with the newspaper theme. Once you have settled on an initial design, start building out each component in Tableau. List out all the steps it takes to build out your viz. Time yourself as you build the whole dashboard. What is taking the most time? Where can you optimize? Formatting can take more time than you think. Set up all your formatting on one sheet and then duplicate that sheet multiple times so you do not have to keep formatting every sheet. I spent the first five minutes of my time at the Iron Viz Championship setting up the data sources and the formatting (fonts, borders, titles, gridlines, annotations), saving myself time at the end. Building your dashboard is only half the work. The other half is telling a story about your dashboard. Help your audience understand why they should care about it and how they should use it. We all love great stories. Your story can take your dashboard from good to great. There were times when I felt my dashboard was too simple and was tempted to add more. Then I remembered how Professor Hans Rosling presents a simple bubble chart in what is now one of the most popular TED talks. The story and the way you present it is as important as your dashboard itself. Most importantly, it should be a story you truly believe in, else do not expect your audience to believe in it either. When you qualify for the Iron Viz finals, you also get a free Tableau Conference pass. Make the most of it! Meet the people that matter to you. This was my first conference, and I was so eager to meet all the amazing people I knew from the Tableau Twitter community and the Tableau Forums. I attended the keynotes and the sessions by the Tableau Zen Masters. I also got to meet my awesome sous vizzer Charles Vaughn in person. He was a great ally and played a key role in complementing my storytelling on stage. He even rocked a bow tie à la Alton Brown of Iron Chef fame. The keynote by Daniel Pink was inspirational, and I ended using a quote by him on empathy in my Iron Viz presentation. I also saw how the keynote speakers like Neil deGrasse Tyson interacted with the huge audience, and made it feel they were talking directly to me. I tried to do the same during my presentation as well, and I loved the response from the audience. They want you to succeed, so see them as a friend to whom you are telling an interesting story. Iron Viz contestants may make building beautiful dashboards on stage in 20 minutes look easy. However, the fact is you cannot do that without practice. As you practice, you may make mistakes along the way. The key is to learn how to recover from them quickly. Time yourself. Figure out which are the absolutely essential parts of your dashboard and which features are nice to have. For example, in my case, if I were running out of time, I would have done away with the tooltips or the “editor-in-chief” note at the top. Leave at least a couple of minutes at the end to test out what you plan to show the audience. The big day is finally here. 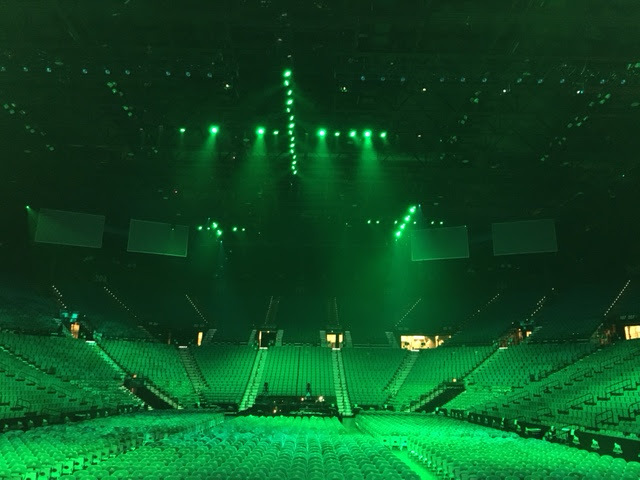 You are in the limelight in front of an audience of thousands. The world is watching online and ready to vote for you. All the effort that you put in will finally bear fruit today. Keep you calm and do everything that you practiced. Your fingers may seem fatter than usual as you type. Your heart may seem to be racing faster than usual. The big timer may seem to be counting down faster than you ever imagined. Just keep your calm, build your dashboard, and tell your story. The judges like your design choices, your use of visualization best practices, and your attention to detail. The audience is rooting for you. The winner is announced. And the winner is…YOU! Congratulations. Now write a blog post about your experiences. 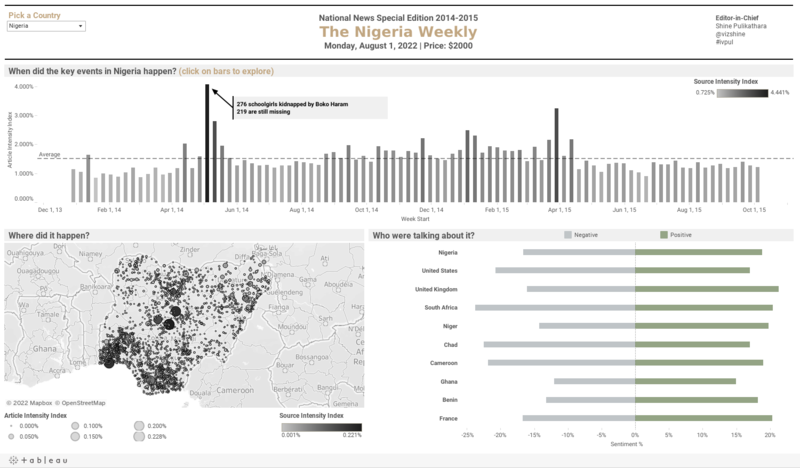 For more blog posts and visualizations by Shine, visit his blog and his Tableau Public page. I attended and watched this competition! Voted for Shine, though parts of other two contestants stories were also very interesting - would love to see them all combined on one news reporting dashboard! Amazing insights!! One question: how much preparation time, on average, did contestants spend, a) developing and testing; and b) practicing for their 20 minutes in the spotlight?